I literally just popped my cherry about 4 months ago in transitioning to mostly all natural oils for my hair. The “Before” pictures represents the amount of shedding within 2 weeks I would lose after my detangling sessions before I transitioned to mostly all natural oils and the “After” picture is also the amount of hair shed within two weeks but 4 months later after my transition to mostly all natural oils. The results as you can see, is about 50% less shedding. 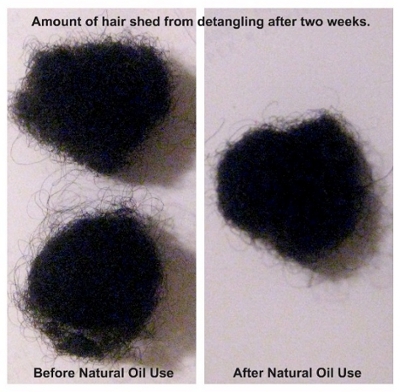 The reason why I was losing twice as much shedding before is because products that are not all natural have more of a tendency to have ingredients such as mineral oil. 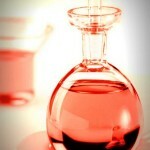 Mineral oil is very inexpensive and non-spoiling which is why so many manufacturers use this ingredient. Mineral oil is the result of the distillation of petroleum this acts as saran wrap against your scalp which slows down one of the skin’s main job which is to eliminate toxins. Natural oils are easily absorbed where mineral oils are not easily absorbed and clog the pores which in return can stop hair follicle growth and slow down the growth process of your strands. 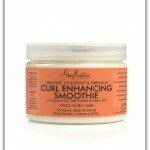 Have you noticed a change with your hair since you have transitioned to all natural products? I’ve found that coconut oil makes my hair very strong, so it breaks less than when I was using a regular hair cream. Also, it does not make my scalp get all itchy like it used to do, before I started using coconut oil. Hey welcome back Yes, I have had the exact same results as well with the use of coconut oil. I like coconut oil also and love the sheen it gives to my hair but do you find it to be “greasy”? Even in small amounts if I touch my hair it leaves my hand oily. I notice a big change in my hair shedding when I started using Emu oil. Does Emu oil count as a natural oil since it’s made from the fat of an animal rather than plants? I’d say yes since animals come from nature. I am in love with EVOO!! My grandma used to use it on our hair and skin back in the day. And now, after spending tons of $$$ on commercial products, I am back to my roots, no pun intended:) Leaves my coarse wiry strands quite soft and well-conditioned. I certainly have noticed a drastic difference in health and retention w/ natural oils vs petroleum/mineral based products!! I love am in love with olive oil. I use it to deep condition my hair and seal in the moisture after washing my hair. It keeps my ends moisturized and keeps single stranded knots at bay. I wished my hair loved coconut oil but am afraid coconut oil leaves my hair crunchy. But ever since I started incorporating natural oils in my hair care regimen, I have noticed that my hair is less dry and my ends feels so much better not brittle and dry. Have you tried organic coconut oil? I tried coconut oil at the very beginning of my natural hair experience and it left my hair crunchy and dry as well. However, I was not using organic coconut oil. I recently purchased some from whole foods and it is amazing! Almond Oil is the truth! It keeps my moisture sealed in beautifully. I also can’t live without Vatika Oil..I mix it with conditioner and Amla powder for my pre poo. I just washed my hair yesterday and I lost sooooo many full strands (must be shedding) I believe that coconut makes my scalp itch and I’m not sure which oil to try on my scalp… Suggestions? Maybe jojoba oil? It’s meant to be the closest to our sebum. For actual hair strands how about good old olive oil! It doesn’t penetrate the strands as well as coconut, but does a pretty good job. Question, I gave birth 5 months ago and I realized since I had the baby, my hair has been falling off non stop. What give? Someone told me it might be a result of the C-section. Have you heard about that? Right now, Im not to sure what to do with my hair. I don’t want to perm it in fear of it looking too thin. I want to get it healthy again. Can you please share with me the hair regimen I should follow? Thank you. i totally agree! not being able to stop the excessive shedding is what made me even try pure shea butter. i have to say that my hair feels better already and i’ve only used it once. i also stepped away from my afro comb and now i’m finger detangling, so i’m excited to see the results after a week or two. Yes I’m a believer! I just realized this a couple of weeks ago. By chance I decided to use coconut oil to dry finger detangle and OMG it reduced my shedding by at least 75%. It was so drastic that I kept going back over sections thinking that I wasn’t finger detangling thoroughly. Yeah this will be in the regimen from now on. BTW-I LOVE this website! It is so informative, classy, and fab. 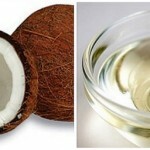 My hair loss has dramatically changed after going poo free and using oils “not coconut it dried my hair even more”. I do a baggie treatment with Jamaican black castor oil and my results are similar to the picture above. My hair grew from 2 inches to 18 inches quickly but breaks up the shaft so I have to cut 3-4 inches off after each braid-out, weave, wig, etc. Now we shall see how the JCBO works for the next year! I am a believer! I do not put anything on my roots oil except EVOO (on wet hair to massage into my scalp). My scalp is naturally very oily and despite my very coily hair, I’ve never had a major problem with dryness. So when I apply products like castor oil or butters, I concentrate on the mid to ends of my hair because those areas are more likely than not suffering from dryness. I use products with mineral oil and petroleum and they work well as sealants because I know way better than to oil my scalp with them. Putting the she butter and the extra olive oil in my hair everyday will help.. STOP the obsessive -shedding I’m praying ! !